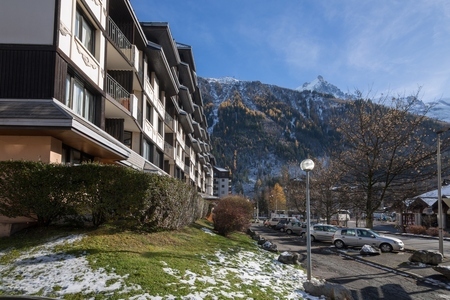 Hop on the Ski lifts with ease; with this sunny balcony apartment in central Chamonix! 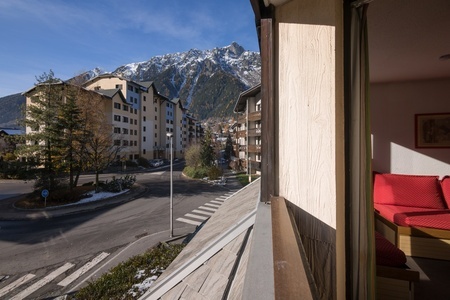 Easily reached by lift, the 1st floor balcony apartment provides an inviting central location in the Chamonix Sud and Aiguille du Midi area of the buzzing Chamonix resort. 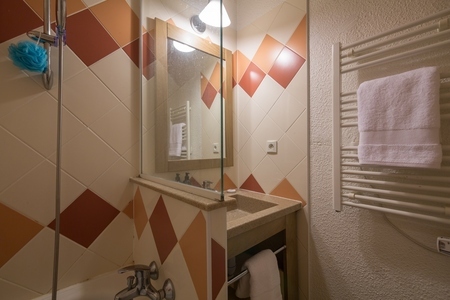 Perfect for carefree budget stays with a loved one or a small group of up to 4, everything guests could need is all within easy reach. The open plan sitting room with dining area and access to a private sunny balcony offers a relaxed holiday-friendly appeal. 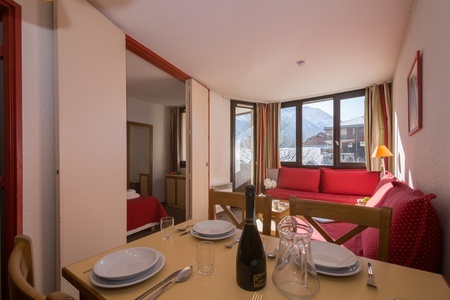 A flat screen TV complements the room, whilst the mountain views serve as a timeless back drop to inspire hikers and Skiers alike. 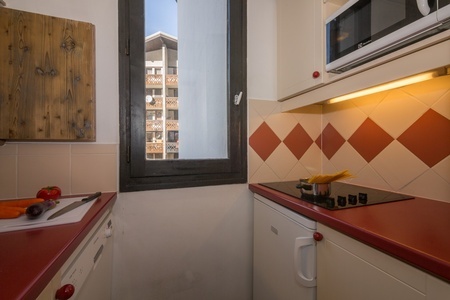 A separate Kitchen with useful service hatch sets the scene for carefree self-catering stays; being equipped with an induction hob, microwave, toaster, electric kettle, coffee machine, dishwasher and fridge provided. 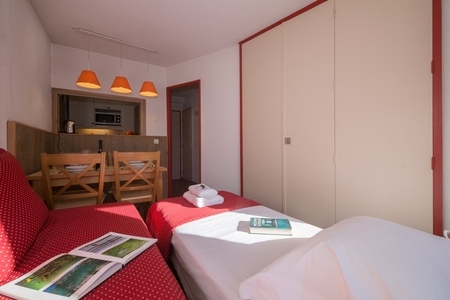 The apartment also benefits from a welcoming couple-friendly Double bedroom; ideal for restful naps and tempting holiday lie-ins. 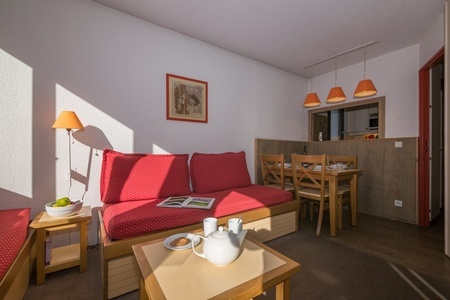 For group stays of up to 4, a Single bed with pull-out Single for 2 is also provided within the Living room. A modern bathroom with bath tub and overhead shower and a separate WC completes the layout of this charming home-from-home. The 1st floor holiday home features in a 6-storey chalet residence with a private on-site underground garage for guests’ use. Plenty of parking can also be found all around. 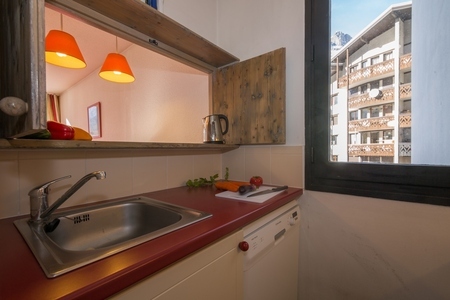 The carefree central location places guests within enviable reach of the resort eateries, shops, amenities, Ski shuttle bus and Ski lifts. 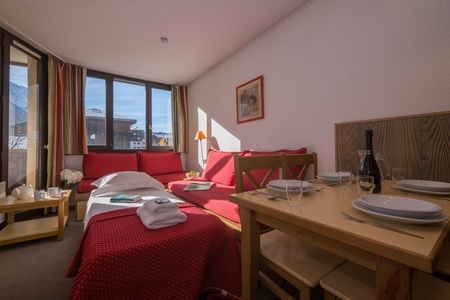 Key Features: • Central resort location • Lift access • Sunny private balcony • Separate Kitchen • Flexible layout for 2-4 • Ski storage • Private garage • Located opposite Ski shuttle bus • Close to Ski lift Sleeping- Bedroom 1: Spacious Master bedroom furnished with a Double bed For added flexibility, a Single bed with pull-out Single features to the Living room. 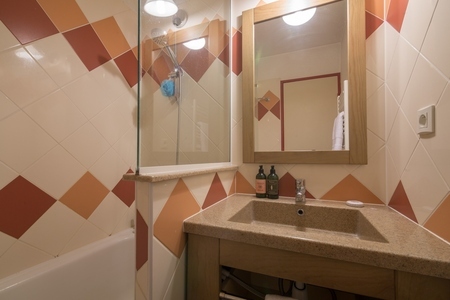 Bathroom- Bathroom 1: A modern suite fitted with a bath tub, overhead shower, wash basin & heated towel rack Service WC: A separate toilet with wash basin Additional- • Electric radiators • Upon request and subject to availability, a portable WiFi device can be hired at the time of booking (for an extra charge) • Hairdryer • Ski storage • Pets considered • Shared garden Location- The chalet residence boasts a convenient resort location, along ‘Avenue de Courmayeur’. 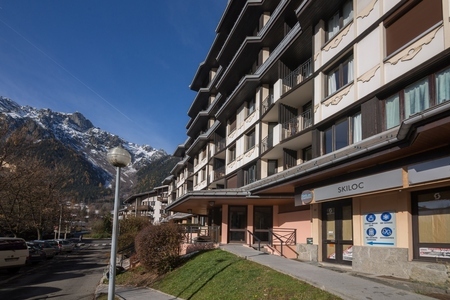 Situated just a 3 minutes’ drive/ 10-minute stroll from the buzzing resort centre, the delights of Chamonix await! 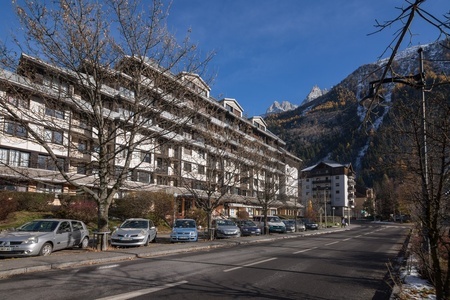 For those who enjoy self-catering, Chamonix boasts a weekly local food market and plenty of grocery shops and supermarkets. A wide selection of world food restaurants, brasseries, cafes, fine dining and wine & tapas bars are also on hand to whet the appetite throughout the day and night. Those looking to enjoy a lively evening out will also be spoilt for choice; with a plethora of different bars and live music venues to accompany the resort’s nightclubs, lounge bars and microbreweries. In the summertime, Chamonix is a great destination for hiking, mountaineering, rock climbing, riding, Adventure parks, paragliding and even water sports and golf; whilst in the wintertime, Chamonix provides the perfect setting for Skiing and Snowboarding; with schools, rental shops, pristine slopes, cross country routes and off-piste runs providing a great distraction for all abilities. 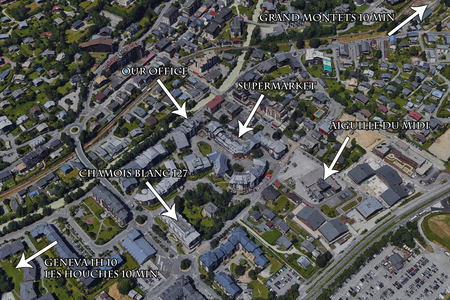 Guests are also placed within a 4 minutes’ drive of the Accro Adventure Park and the Lac des Gaillands climbing wall. 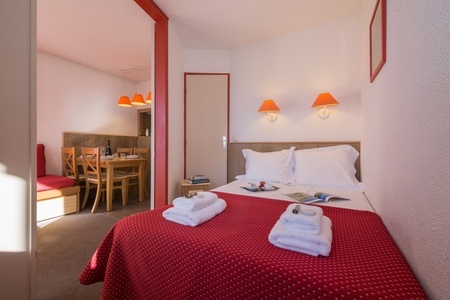 From the charming holiday retreat, Geneva Airport is just 83 minutes’ drive away, via the A40.